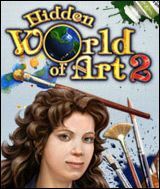 Download Hidden World of Art 2 for free at FreeRide Games! 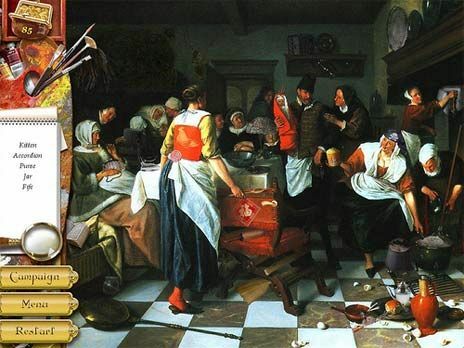 Explore fascinating artwork and catch a gang of thieves in Hidden World of Art 2, a Hidden Object masterpiece! A group of expert art thieves has the police baffled with their string of heists. Countless works of art are missing, and though some have been recovered, little to no clues exist. With nowhere to go, authorities approach Lana Vassari, a young art restorer whose skills in detailing suggest that she can uncover who is behind the thefts. With her passion for art, and need for work, she quickly agrees and finds herself as an undercover agent. Follow Lana through this exciting mystery and help her expose the crooks before they ruin other wonderful masterpieces! Restore precious artwork by locating and removing what shouldn't be there. Search carefully for any little detail. Visit old friends to uncover more facts to help authorities. While you're at it, help yourself and earn money to furnish your apartment!